Are you ready to tackle your money worries and turn your life around? Perhaps you don't know how to make a budget or live without debt. Perhaps you don't have any support and guidance from someone with financial wisdom. Or perhaps you're doing many things right but just don't understand the process of taking baby steps to success. The Total Money Makeover — now adapted especially for South Africans — is the 'how-to' guide for beating debt and taking control of your money. 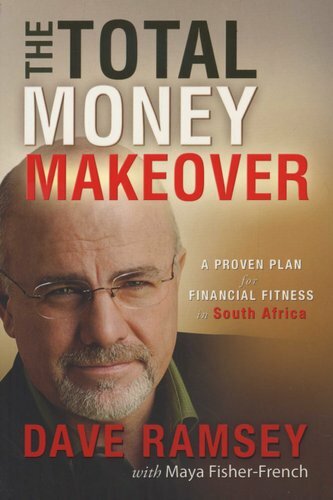 Respected financial expert Dave Ramsey offers a proven plan with time-tested steps and tools that both teach and inspire people to pay off debt, build wealth and live in financial peace. 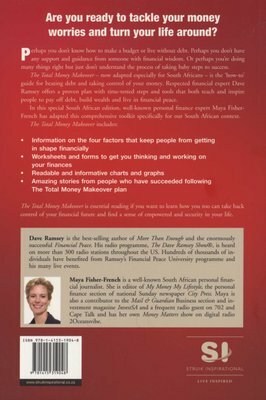 In this special South African edition, well-known personal finance expert Maya Fisher-French has adapted this comprehensive toolkit specifically for our South African context. The Total Money Makeover is essential reading if you want to learn how you too can take back control of your financial future and find a sense of empowered and security in your life.